You’d like to come to Australia and have professional or trade skills that may qualify you for Permanent Residency. • You meet the required points for the visa you intend to lodge (65 points is the minimum). • Your age must be between 18 and 45 inclusive. Different points are awarded to different age groups. 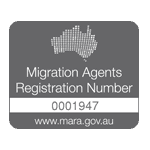 • apply for Australian citizenship, if eligible.